High Quality Content by WIKIPEDIA articles! 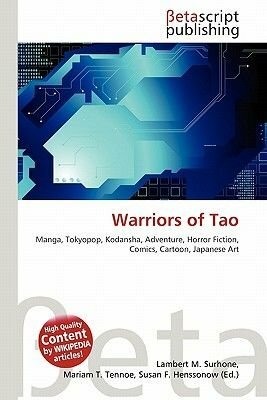 Warriors of Tao, known in Japan as Toma (, T ma? ), is a Japanese manga by Shinya Kuwahara (, Kuwahara Shin-ya?) "Survival of the fittest" is a universal truth, one that Toma learns the hard way outside of the classroom. Chosen to fight on behalf of the Earth in an interplanetary tournament, Toma realizes that the loser will end up as dead meat - literally. According to the universal plan, there will be "Feeders" and there will be "Food," with the beings of one world feeding on the blood and meat of the others. Only one planet can survive... Who will be on the menu?